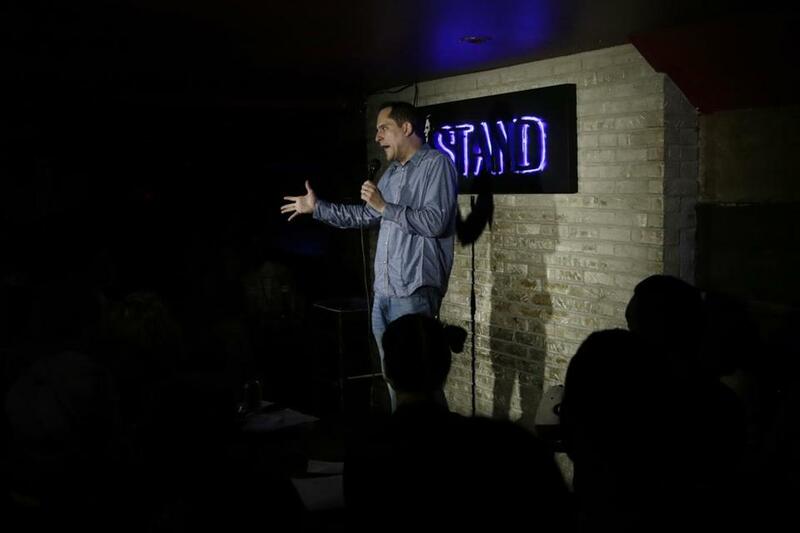 Jon Rineman is a comedian based in New York City who has appeared on “THE TONIGHT SHOW STARRING JIMMY FALLON,” “LATE NIGHT WITH JIMMY FALLON,” “COMICS UNLEASHED” and “GOTHAM COMEDY LIVE.” He has also been heard on Sirius XM Radio. He is an Emmy-nominated writer, and has written for Seth Meyers at the White House Correspondents Dinner and 2011 ESPY Awards. He is a native of North Hampton, NH, and a 2005 graduate of Emerson College. NEW YORK — It’s hard to tell if Jon Rineman is having fun. At 32, he’s the head monologue writer for “The Tonight Show With Jimmy Fallon,” the apex for someone whose ambition is to make people laugh. Yet sitting in his closet-size office at Rockefeller Center, Rineman looks uncomfortable, as if he doesn’t belong. His colleagues and fellow comics know. They say Rineman, a 2005 Emerson graduate who’s worked for Fallon for six years, is indeed dorky, but he’s also a skilled and prolific joke writer. As relentlessly earnest as he may seem, Rineman can grind out dozens of gags a day, and a good percentage of them make it into Fallon’s monologue. If you ever wondered what it’s like working for Jimmy Fallon, there’s no better person to talk to than Jon Rineman. The Emerson graduate and New Hampshire native has been crafting jokes for the late-night host for six years and is now the head monologue writer on The Tonight Show.